A Friendly Guide for Installing Tape-in Hair Extensions. Want a super quick and easy way to lengthen and thicken your natural locks or add color highlights? Order AiryHair tape-in hair extensions online in 10 to 30-inch lengths. Check out our Texture Guide for help picking between straight and multiple wavy and curly options for your tape hair. Then select from assorted standard to wild shades. Do-it-yourselfers love the simple application process for these 100-percent human hair additions. Now, let’s learn on how to actually put your shiny extensions! Preparation starts with washing your own hair. With a clarifying shampoo twice so it’s squeaky clean. Don’t use cold or extremely hot water. The aim here is to remove dirt, oil, styling product residue and buildup. Do not slack on this step! It will help extensions stick better. Short on time? Cleanse just the areas where you’ll attach strips. Part your locks into sections according to next step. Pour alcohol on a cotton ball. Sweep it lightly across parting lines. However, please avoid overusing alcohol to prevent harsh dryness and root damage. Work with two mirrors or trade off extension application favors with friends. For longer or thicker additions, start one or two inches from your neck’s base. Part your lowest strands with a rat-tail comb in a straight horizontal stroke. Pin the upper hair on top of your head with the bottom hanging below. Just under the parting line, separate a thin segment matching the attachment’s width. To add a few color highlights, draw a horizontal parting line just below your crown. Lower it if your hair is thin in that area. Also, avoid wispy areas close to your face. Keep in mind that thicker sections prevent extensions’ bonds from being visible. Warm tape with a flat iron. Use a low heat setting unless stated otherwise. Peel the tape sticker away from first two pieces. What we need to do is place one tape at the bottom, stick to your hair and close tape with one on top. Think of it as a sandwich. If you’re using invisible tape, the pieces will be barely visible. Starting from your neckline, stick the first extension on parted strands below the root enough to prevent scalp tension discomfort as hair moves. Use alligator clips to lift and hold first, tape wide line of your own hair. Gently add the tape as evenly as possible. Now release the clip and put last tape on top. Keep affixing strips to complete the first horizontal row. On the second thin row above, position a narrow segment of your own hair to cover the first addition you placed slightly. Add another bundle over that section to sandwich your natural locks in between two extensions. Rooted hair in the middle that’s too thick will reduce the adhesive’s secure hold. Align top and bottom extensions’ tape strips. Press bundle bonds together firmly. Repeat more rows upward toward your crown, stopping when you achieve your desired look. Reverse the order for highlights, working downward to your neck. Maintenance begins with the wait! Relax for 48 hours before you wash attached extensions with sulfate-free shampoo. Condition your lower length, avoiding higher bonded areas to keep adhesive secure. In addition to that, skip all oil-based hair care products that could loosen the tapes’ hold. Careful regular brushing from ends to roots removes tangles. Lift up hair sections a few times per week to check for knots around bonds. Grab the lower part and brush it first without pulling on fastened tape. Also, be gentler as you move upward toward your scalp. Blow-drying your mane on low will prevent tape-in bonds from weakening. They respond well to all heat tools including curling irons, and styling makes extensions look their best. Because they add volume, your own fine strands don’t undergo as much heat exposure to appear fuller. 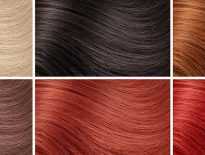 Since AiryHair extensions are 100-percent human hair, you can color them along with your own tresses. Despite that, it’s still better if you contact us to exchange them for the color you desire. Sleep with completely dry hair in a ponytail or loose braid on a silk pillowcase to preserve your extensions’ bonds while avoiding tangling and damage. Read our sleeping with extensions article to learn more. Most tape-in extensions can stay in place until hair grows 1.5-2 inches. A partial set that boosts volume without significant lengthening lasts 8-10 weeks. Going to extreme lengths with a full-head application averages three to four months. If you want to learn more, be sure to read a separate article dedicated to nothing but hair extensions care. Just following these tips will increase your hair extension’s lifetime by as much as 200%. To continue your enhanced look, order AiryHair replacements before detaching your current set. Consider upgrading to custom tape hair extensions with exciting extra options. When they arrive, bundle removal is a fast, simple process. Apply an oil-based formula to break down the adhesive. In other words, the strips will peel gently away from your locks. Then start over with the cleaning and bonding steps above. Was that not clear enough? Well, if you want to remove tape-in hair extensions yourself, head over to the post linked here. We have 3 cool ways to get rid of tape, residue and all at the comfort of your home!